Osaka is the economic powerhouse of the Kansai region of Japan. As one of the nation’s ancient capitals, Osaka is rich in history and traditional culture. Nowadays, the city is quickly modernizing and becoming one of the hottest cities in Japan. Not to be overshadowed by Tokyo, Osaka has its own unique charm with delicious foods, friendly people, and honest attitude. 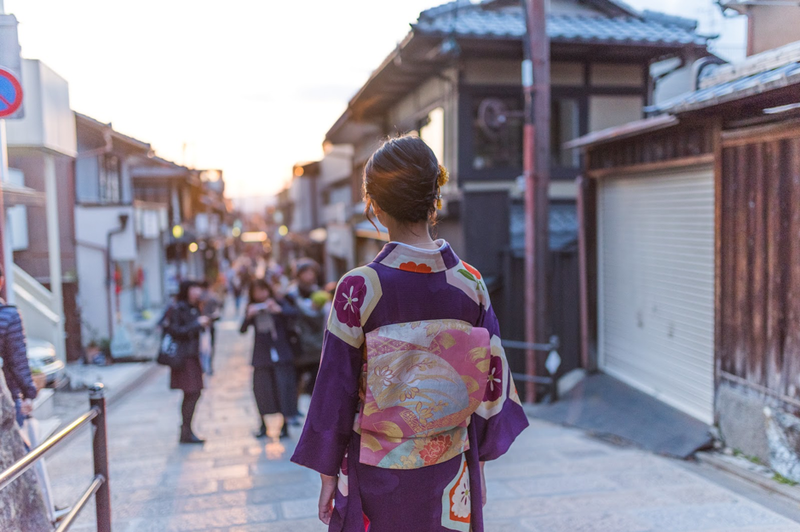 As an intern in Osaka, you can expect to be awed by Japanese culture while hands-on taking part in an inspirational work experience. Here are 10 reasons why you should intern in Osaka. The world seems to be getting smaller by the minute, with technologies bridging the gaps that once existed between countries across oceans. 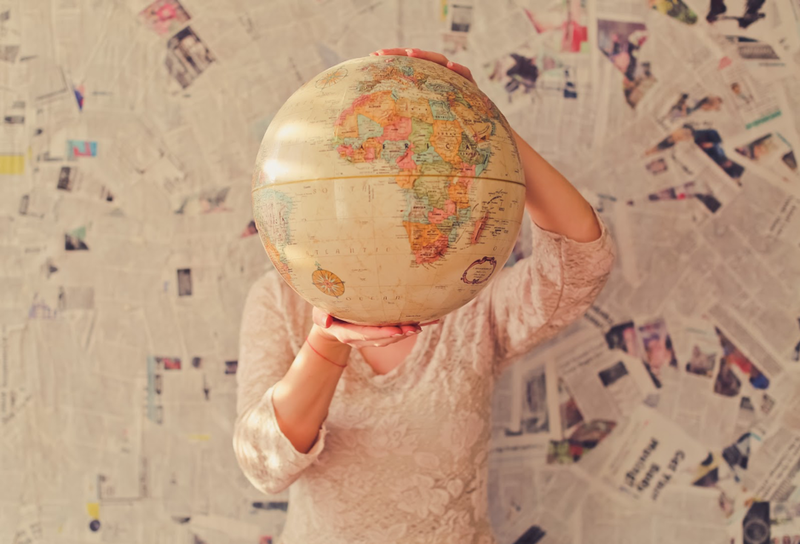 Today, the global workforce is a powerful entity that is constantly evolving. Asia is a great place to be in this new age, because it is the fastest advancing region on earth. Japan specifically has many prime assets that make the country a force to be reckoned with. 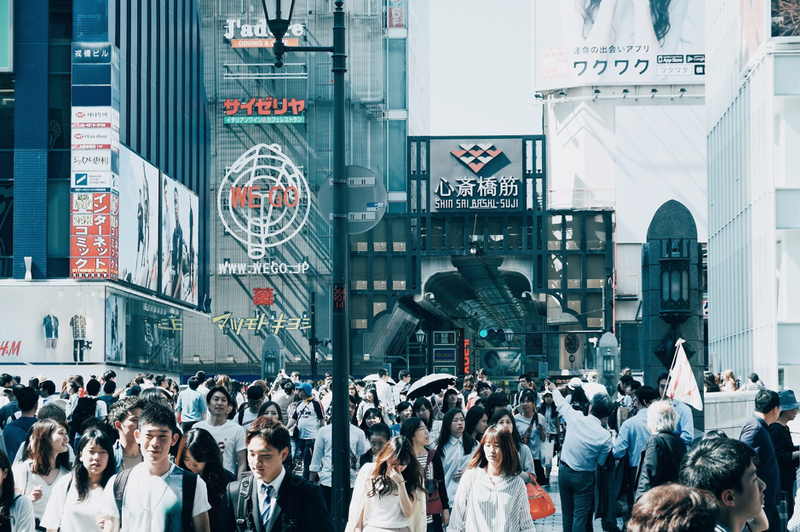 Recent studies show that Japanese companies have seen an increase in the desire for international interns, while simultaneously, students have increasingly chosen Japan as a study abroad destination. That makes this relationship a perfect match and will undoubtedly yield rewarding results. Osaka is the capital and largest city within its prefecture of the same name. Osaka prefecture is amongst the largest metropolitan areas in the world with a total population of over 19 million, 2.6 million being in Osaka city. If you are looking to work in an exciting economic environment, Osaka is a good place to be. The city is a flourishing hub of all kinds of businesses, so you will find being an intern in Osaka fulfilling to your own career goals. Check out the 14 professional sectors we offer interns to work in. As well as being a huge city for business, Osaka has become a large tourist city which makes English-speaking skills an advantage. It is a well-known fact that the Kansai region of southern Honshu island has a more laid back vibe than its northern counterparts in Kanto Prefecture. This is especially true in their biggest cities: Osaka and Tokyo respectively. Back then, Osaka was a city for merchants. Merchants were on the bottom tier of the Confucian hierarchy, and thus were less expected to be uptight and refined. Merchants were able to be themselves and liked talking to people in order to sell products. 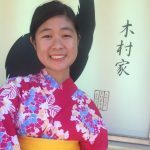 Today, many Osakans will strike up a conversation with you just because they like to chat about where you’re from and your experience in Osaka. More often than not, they are very prideful of their city being better than Tokyo. People are always willing to help you, which makes it a safe and fruitful environment to intern in Osaka. Known as the “nation’s kitchen”, Osaka is a foodie’s paradise. With over 90 Michelin starred restaurants and street food stalls galore, you may never feel hungry again. Try Japanese classics like ramen, sushi, soba, and tempura – but also remember to taste the local cuisine. Due to its merchant background, Osaka saw the import of various ingredients. This created a chef-mindset and food-oriented lifestyle. 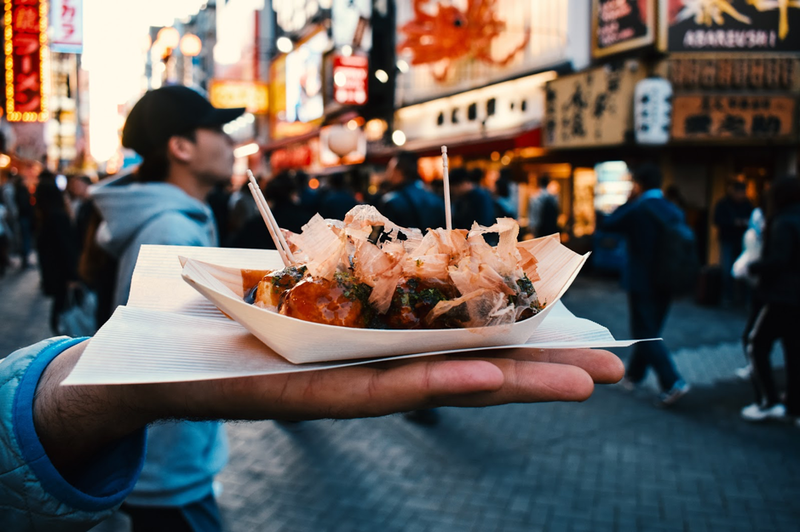 Must try Osakan specialties: takoyaki (fried doughy balls filled with octopus), okonomiyaki (a savory pancake), yakitori (grilled skewers), kushikatsu (fried skewers), yakiniku (Japanese barbecue), and the internet-famous jiggly cheesecake. In 645, Emperor Kotoku named Osaka as the capital of Japan. At the time Osaka was called “Naniwa” and was the center of all Japanese activity. Over the next century, capital status was alternating between other cities such as Nara and Kyoto in the same region. Then, during the Edo period, the magnificent Osaka Castle was constructed. 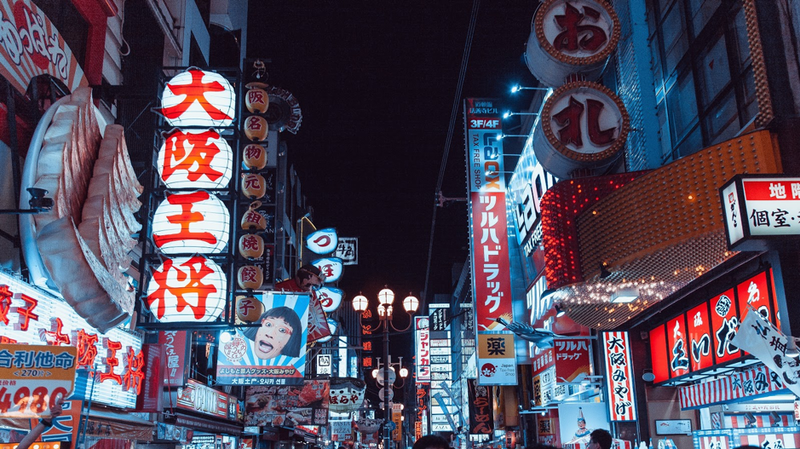 Despite changing times, Osaka remained the important location for Japanese economy because it is a perfect starting point to travel to other major cities in Japan. Nara and Kyoto are only a quick train ride away, and Tokyo is a few hours away by the “shinkansen” bullet train. Kobe, Nagoya, and Hiroshima are other major cities that are easily accessible for more historical experiences. There are also many traditional Japanese experiences to participate in while you are in Osaka. In the summertime, attend “matsuri” or festivals that feature traditional dances, street food, fireworks – or all of the above! Get the full feel by wearing a “yukata” which is a lighter version of a kimono. Or, challenge yourself physically by trying out taiko drumming or any Japanese sport such as kendo or archery. And finally relax at the end of the day at an “onsen” which is a traditional hot spring spa. 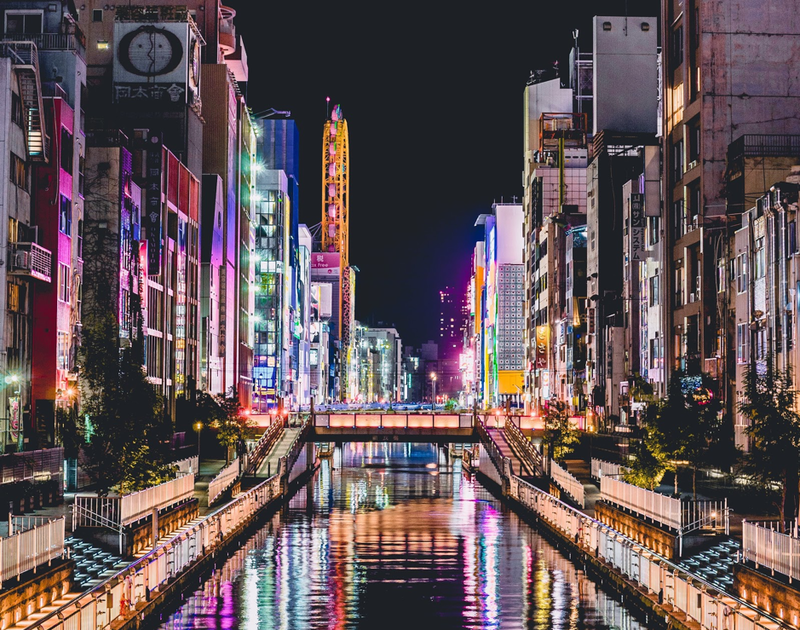 Although Osaka is a treasure trove of historical riches, as a city it has modernized significantly in the past few decades. Today, Osaka is a huge tourist city in Japan. 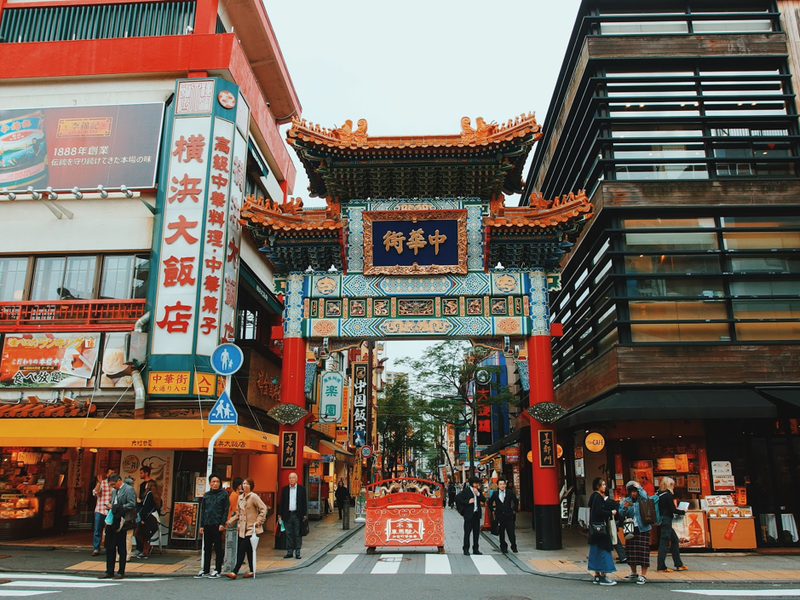 There is no shortage of attractions, such as the Fish Market Kuromon, the Momofuku Ando Instant Ramen Museum, Suntory Yamazaki Distillery, and Universal Studios Japan (the first location outside of the U.S. to exist!) In the Dotonbori area, Tenjinbashi-suji is the longest shopping street in Japan. It has over 600 shops, restaurants and bars and could easily take you hours to reach the end. And the unique Bunraku Puppet Theater is a spectacle you surely won’t forget. 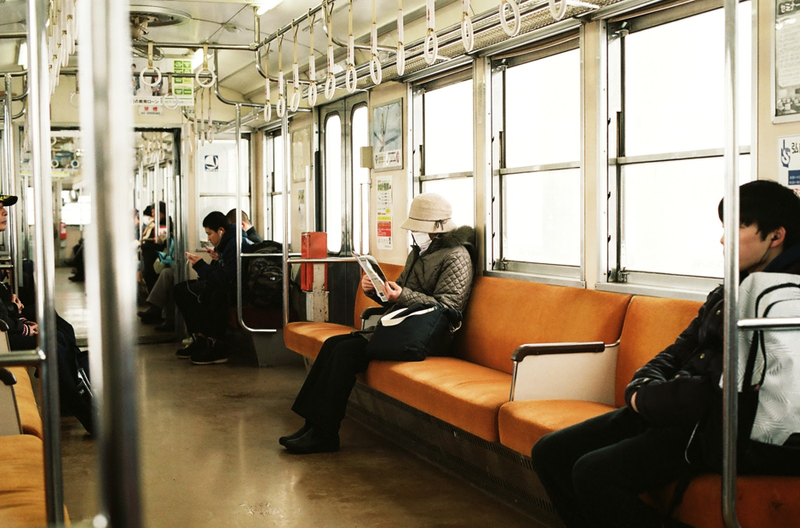 The train systems in Japan are possibly one of the best in the world. They are so infamous for being on-time, that you can never get away with the excuse that your train was running late. (If it actually does, you will be given a little note of apology to hand to your boss). They also go to everywhere that you need in the city. The stations are impeccably clean and clearly labeled in both Japanese and English. Commuting has never been better! 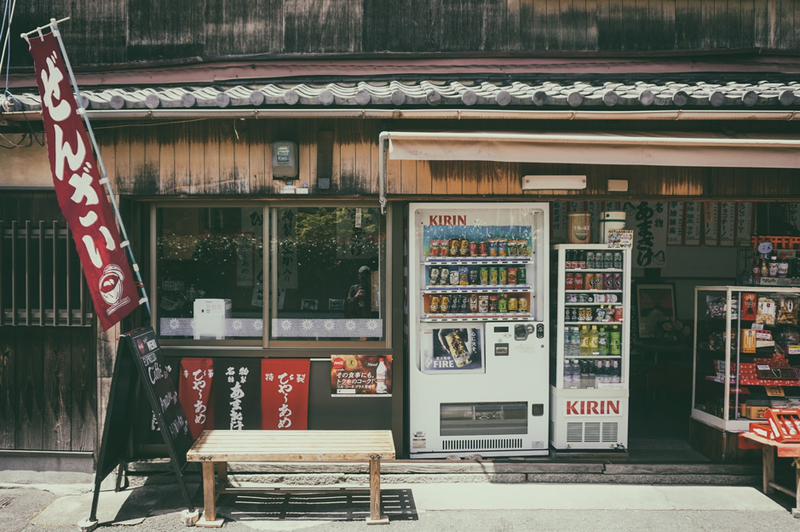 A convenient store is called a “konbini” in Japan. You can easily find five konbinis that are walking distance from you. Make a quick stop for lunch with their giant selection of riceballs and drinks. Amazingly enough, even the flavored waters taste incredible (try the brand Lohas and their peach flavor). There are teas, milk teas, fruit drinks, alcoholic drinks, and beers. The drinking age in Japan is 20 and it is legal to drink outside with friends. There is also stationary, bandages, breakfast, umbrellas, ticket machines, and newspapers and magazines. 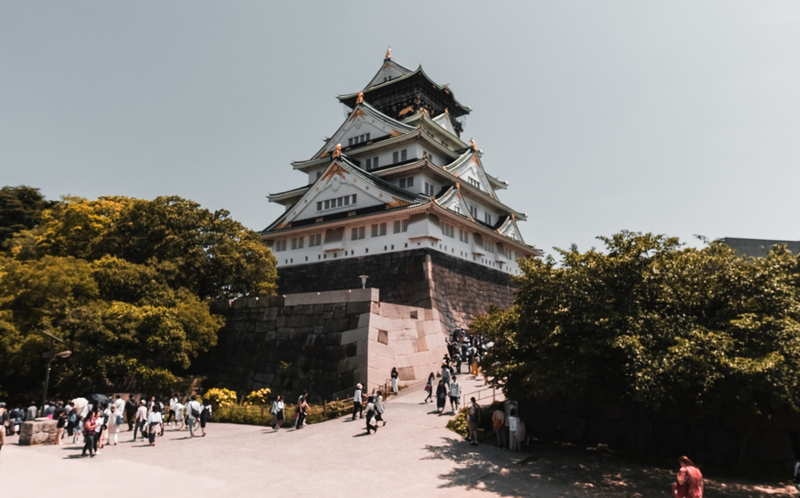 Your time in Osaka may very well inspire you to explore other Asian countries that are in the region, especially if this is your first time on the continent. China, Korea, and Vietnam are must-visits (and we know because we have program locations there!) Or take a longer flight to visit the exciting places of the Philippines, Indonesia, or Singapore. Of course, being the biggest continent on earth, it may take you a while to properly experience Asian culture – but surely there is always a place to start. Osaka is a treasure trove of amazing historical relics, experiences matched with a modern and delicious twist. 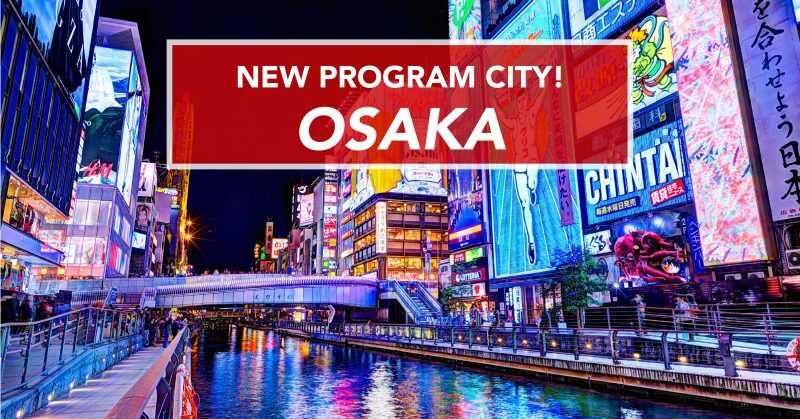 As one of the most prosperous cities in Asia right now, being an intern in Osaka would be an intelligent move for your future. If you think China, Vietnam, Korea, or even Manchester might be a better fit for you, check out our other program locations. China can offer you the largest market in the world in which to develop your skills, whereas Korea and Manchester each have their own distinct cultural and business experiences that are powerhouses in their own right. If quickly developing markets and startup businesses are more your thing, try Ho Chi Minh City. CRCC Asia provides our students with all the support you will need both pre-departure and during your internship so that you can be both comfortable and professional in your new position. With webinars on workplace professionalism, cultural-experience outings, and an alumni network, you will quickly discover your potential for success in a global workplace.